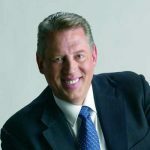 John Calvin Maxwell is an author and speaker who has written more than 60 books, primarily focusing on leadership. In this post he writes about the two dimensions that a leader has to manage: emotional and logical. What is needed to transfer a vision emotionally? What is needed to transfer a vision logically? Interesting article that answers this questions.